The Fender Musical Instruments Corporation of Scottsdale, Arizona is famous for making guitars and other stringed instruments. 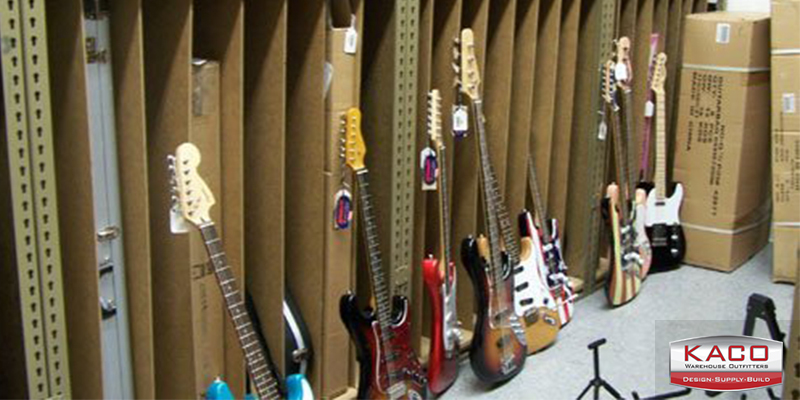 They were looking for a solution to store more guitars in a limited space at their Scottsdale headquarters. Originally Kaco designed and installed the storage solution to accommodate current needs and anticipated future growth. However, growth significantly exceeded Fender’s expectations and available storage space was quickly filled to capacity. 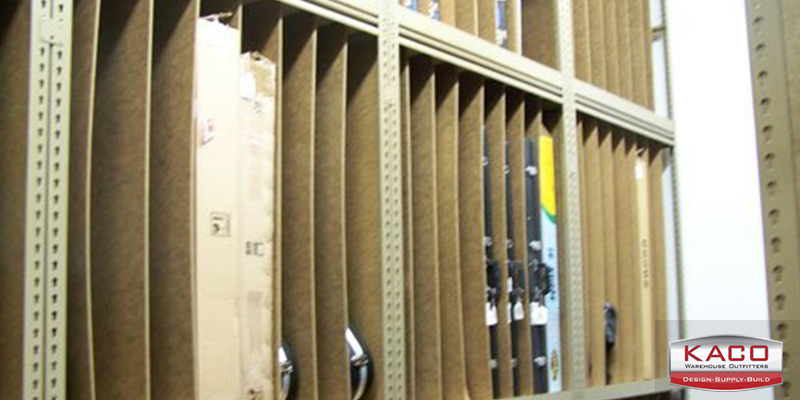 By changing from vertical to horizontal storage and utilizing previously unused aisle space Kaco was able to redesign Fender’s existing storage area and significantly increasing the storage capacity.